Edgartown police are headed to Fenway on Wednesday to participate in the big shave-off, a benefit fundraiser for veterans called Home Base. Island police have been setting aside their razors and growing beards and mustaches this November to help raise money for charity, a rare exception to department policy requiring a clean-shaven profile. 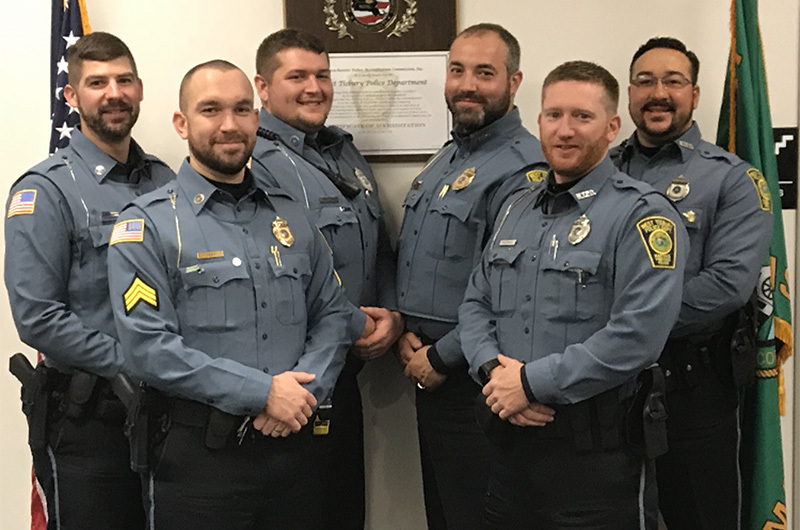 Seven members of the Edgartown police department are participating in No Shave November this year to benefit Home Base, a foundation headquartered in Charlestown that offers support services for veterans and their families. Each Edgartown officer pledged $100 to skirt facial hair restrictions, and all are traveling to Fenway Park in Boston Wednesday for a ceremonial shave alongside 117 first responders from across New England. Edgartown organizer Sgt. Thomas Smith said he was drawn to Home Base because six members of the department served in the armed forces and veterans deserve the best care, particularly for invisible injuries like post-traumatic stress when they return home. No Shave November caught on in West Tisbury (above) and Oak Bluffs too. Some officers embraced the facial hair freedom more than others. In West Tisbury, six officers are putting aside their grooming budget to donate to a Vineyard family affected by cancer. According to the nonprofit No Shave November website, the concept began as a way to raise cancer awareness by embracing hair that many cancer patients lose. West Tisbury Sgt. Matt Gebo said the cause was worth 30 days of easing department restrictions, and a few laughs from the youth basketball team he coaches. 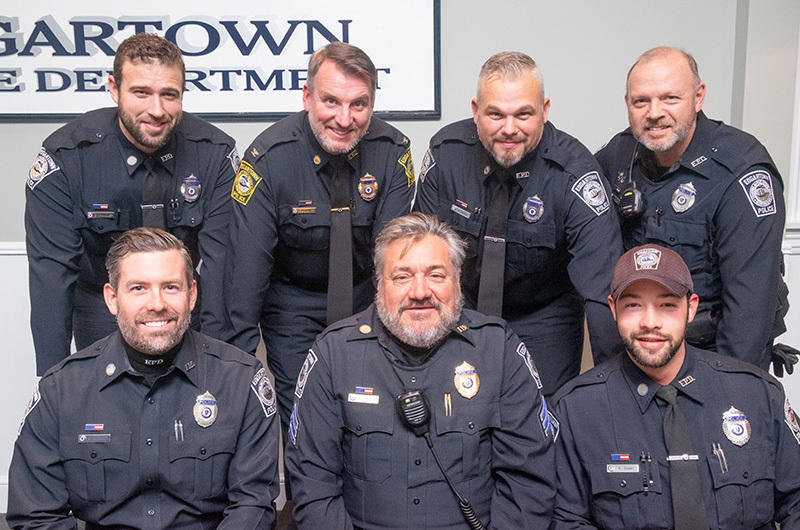 Sergeant Gebo joked that some beards turned out better than others, and a few officers are eager to be rid of them first thing on Dec. 1. “You can judge from the photo,” he said. Lieut. Timothy Williamson said the Oak Bluffs police department is also participating to raise money for cancer awareness, a cause he said the station is passionate about because one Oak Bluffs officer is a cancer survivor. The beards actually look really cool. Should allow them year-round! Dam I am 67 years old and can barely grow a tiny tiny mustache! You all look great! !